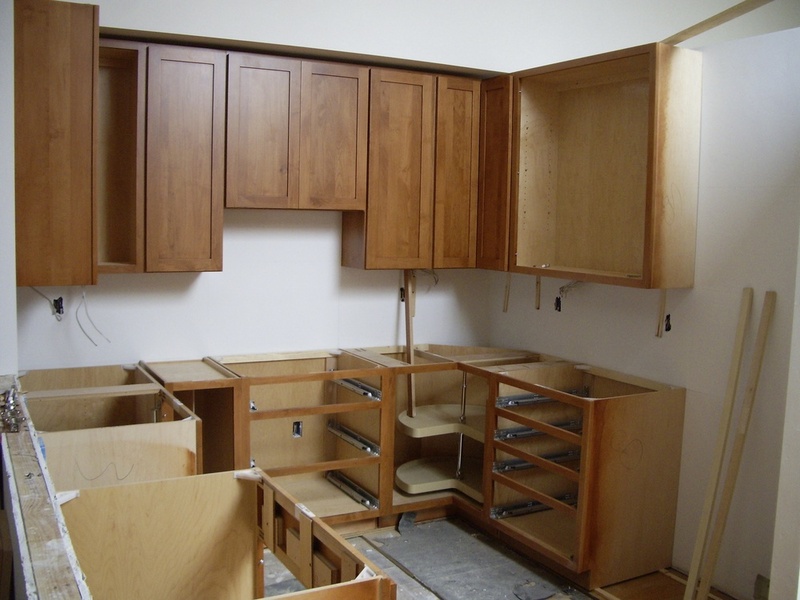 Objective: Major remodel of 1930’s home, reconfiguring kitchen and laundry room to create more open floor plan. The homeowner was aware of this and other shortcomings when she purchased the home four years earlier and had spent time assessing what worked, what didn’t, and how she wanted the house to flow. She spent over a year in the design and planning stage. We consider this a great approach, focusing on what the owner wants the end result to be. Results: An addition had been completed in 1992 which did not integrate well with the original house. The original home and addition were well built but needed to relate to one another architecturally. 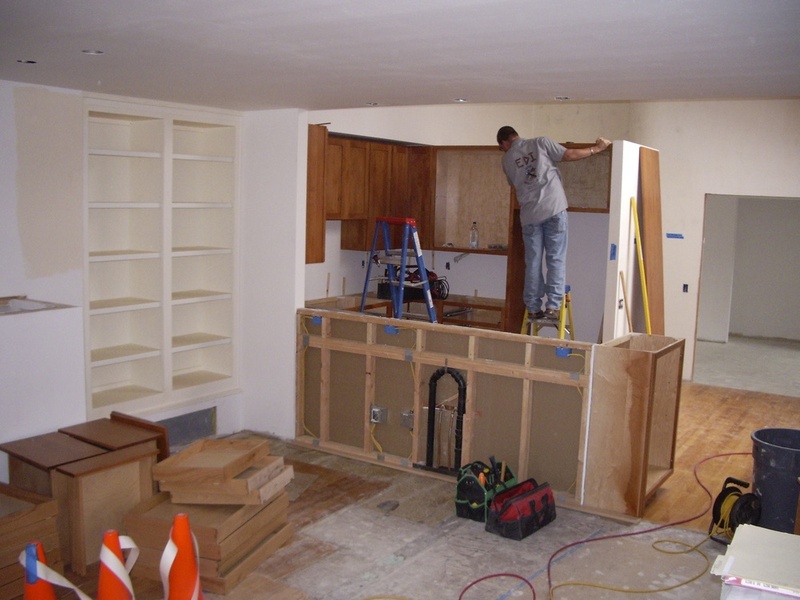 We moved the kitchen and laundry room and removed walls, requiring engineering to transfer loads to other walls, which was necessary to create the open space which the owner desired. 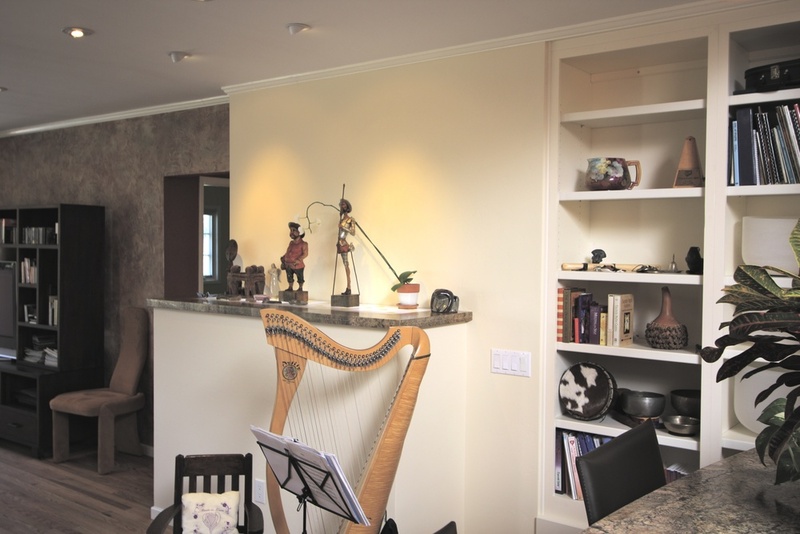 We re-worked the foyer with a vaulted ceiling and elegant, Murano, glass pendant light. 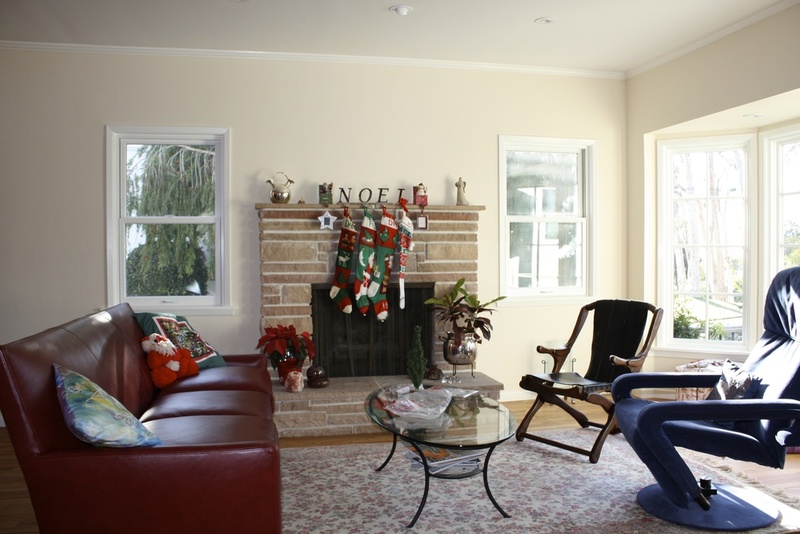 New windows were installed throughout making the house much more energy efficient and comfortable. Nontoxic paints and finishes were used throughout. Existing oak strip flooring was sanded and finished with an all natural resin/oil and then waxed. The front of the house received a complete makeover removing the brick façade and creating a new front porch and patio with Trex railings and beautiful new landscaping. One of the owner’s most important criteria was preserving a 70-year-old stone wall, a common and much loved element throughout the Mission Hills neighborhood. The home’s front steps were reconfigured and integrated into the existing wall, creating an entirely new, welcoming, and exciting look for the entry to the house. After: This photo was taken from same angle as next, but about ten feet forward. Before: Dining room looking toward 1992 addition. Kitchen was accessed through left door. Before: Unwelcoming foyer with low ceiling. 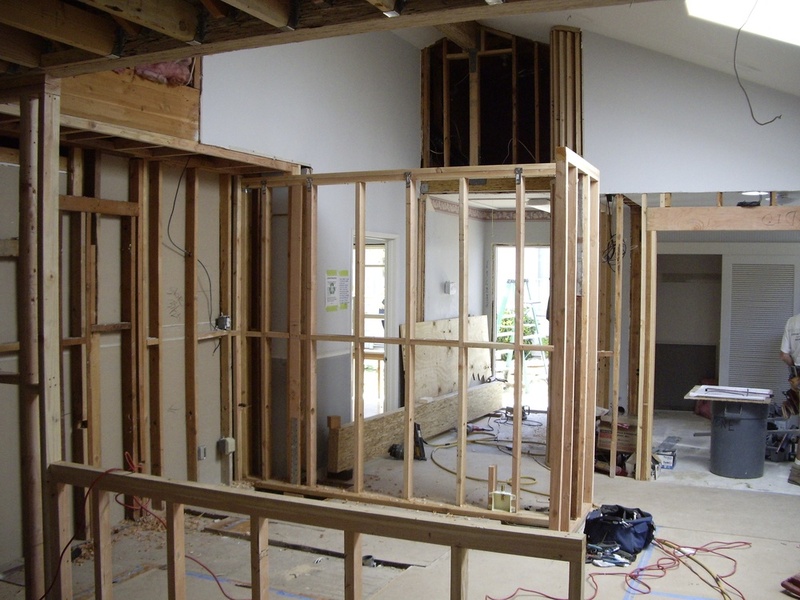 Before: The only place that the original house and addition flowed together, but not well. 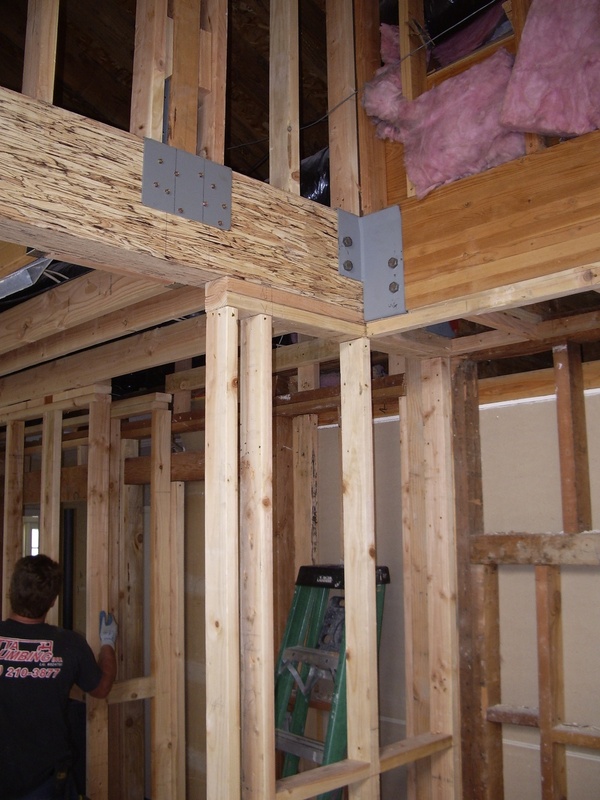 There were several bearing walls removed requiring engineered components. Curved wall that will eventually be coated with venetian plaster. Living room looking toward kitchen, dining room and art studio. Looking toward soon to be finished kitchen. Looking from 1927 original house toward the now beautifully integrated 1992 addition. 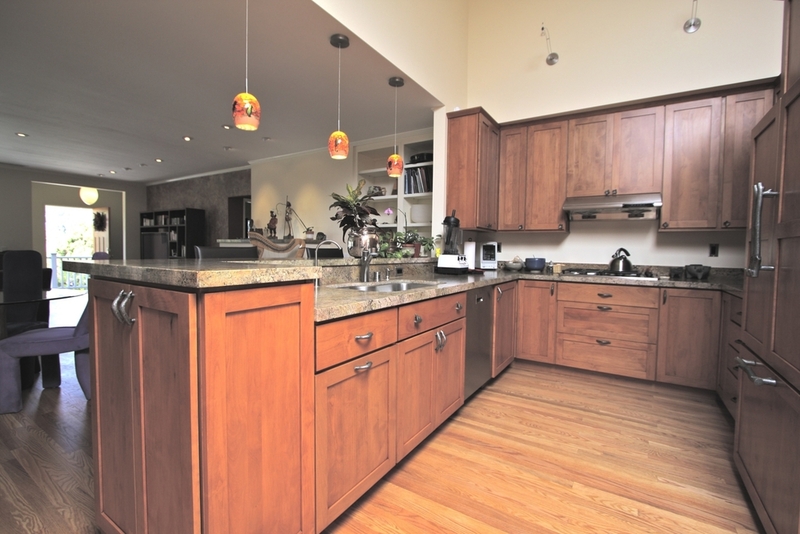 A beautiful, unique granite was chosen for the countertops. The floor is a combination of new and existing oak strip flooring that was sanded and finished with an all natural resin/oil and waxed. Before: Dangerous steps, dated looking brick facade and iron railings and useless sloped lawn. New front steps, walls and landscaping. Note the 70 year old stone wall, patched and re-pointed and ready for another seventy. Before: Plenty of room for improvement. Now: New door, windows, siding, steps, porch and patio with Trex railings and beautiful landscaping. Rear entrance features trellis, ready for plants to climb upon it. Reworked foyer with vaulted ceiling and Murano glass light fixture.